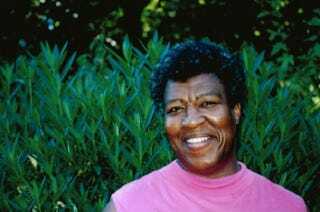 Two Previously Unknown Octavia Butler Stories Are Getting Published! Great news for fans of Octavia Butler's mind-expanding fiction: two previously unpublished stories of hers are coming out this June, in a single volume called Unexpected Stories. "A Necessary Being" tells of how the leaders of two ancient tribes "must broker a delicate peace to ensure that their peoples are to survive." In "Childfinder," a young woman "locates children with budding psionic powers and teaches them to protect themselves from society." 'Unexpected Stories' reveals the themes that would become Butler's lexicon: the complicating mysteries we assign to power, race, and gender. Reading these tales is like looking at a photograph of a child who you only knew as an adult. In her eyes you can see the woman that you came to know much later; a face, not yet fully formed, that contains the promise of something that is now a part of you; the welcomed surprise of recognition in innocent eyes.